It happened again. I recently caught myself wincing at a teatime menu’s English version. This time it was in one of Paris’s most elegant and prominent tea salons in Place Vendôme, where the famously stylish Parisian “macaron” was translated as “macaroon”. I know, it’s not one of the world’s first problems but please, get it right. 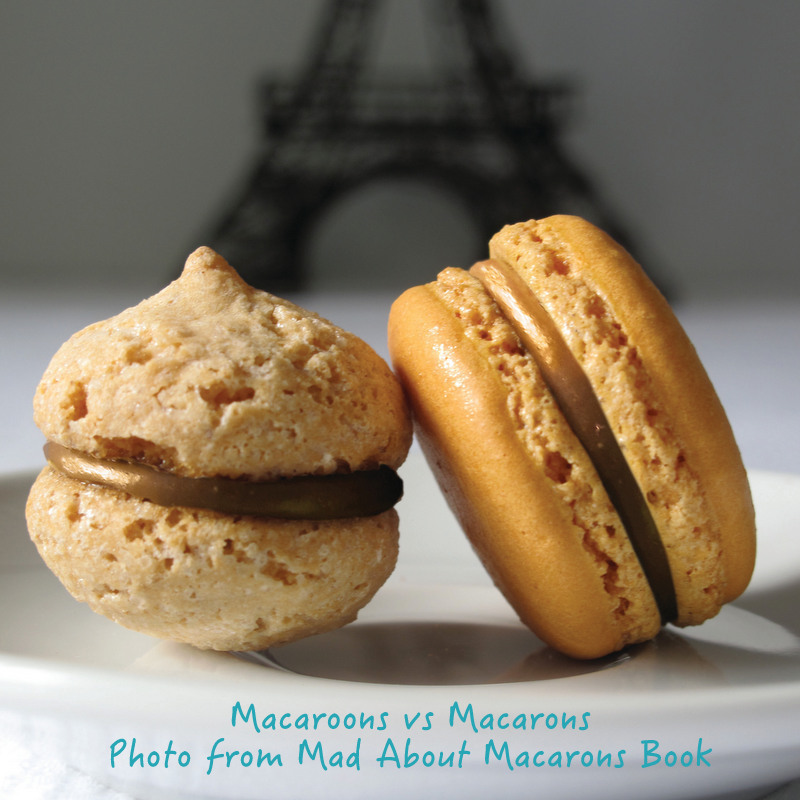 While Macarons and macaroons perhaps sound alike, they are both totally different. This confusion with an extra “o” is nothing new; it happens frequently, whether it’s on a top tearoom menu in Paris or on high-end supermarket packaging around the world. Even a UK bookshop snootily turned down stocking my first book, Mad About Macarons, simply because the title read “Macarons” and not “Macaroons”. It’s a subject that has been raised often, but the same mistake continues like a couple of crêpes on deaf ears. I’m perhaps mad about macarons, but if you’re just as infatuated with Paris’s Ambassador of Pastry, with its smooth delicate meringue-like shells sandwiched together with chocolate ganache, jam, curd or buttercream, its name needs to be defended. I’m not being posh or trying to show off I can speak some French after 24 years of living here – it’s just that the term, macaron is the right word to use to describe these little filled rainbow-coloured Parisian confections. Food lovers are evidently still puzzled. How on earth can two deliciously dainty confections create such mystery? 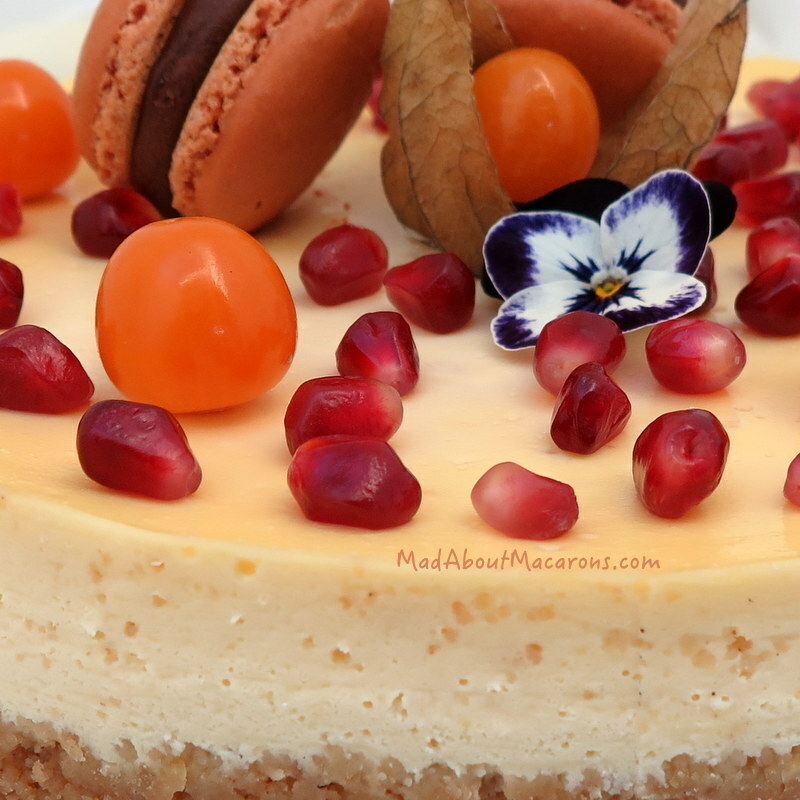 The only similarity between the two is their gluten-free mutual ingredients of egg whites and sugar; a macaron includes ground almonds (almond flour), whilst a macaroon is made with coconut. So let’s get it straight with the simplest answer: the macaron is meringue-based and the macaroon is coconut based. Macarons date back to the middle ages but we have a better idea of its history during the Renaissance – first cited by French writer Rabelais – when the Venetian macarone (meaning a fine paste of something crushed) of ground almonds, egg whites and sugar was brought to France by Catherine de Medici and her chefs when she married the future King of France in 1533, Henri II. It was a meringue-like biscuit but a much rougher looking type of confection, predominantly tasting of almonds and looking rather like an amaretti biscuit. In France, the macaron’s super-model upgrade wasn’t made famous until the 1900s. This is the modern smooth, coloured macaron as we know it today, that’s now creating the confusion, known as the Parisian or Gerbet macaron. Ernest Ladurée’s second cousin, Pierre Desfontaines takes the credit for inventing these sandwiched confections – although this calls for yet more delicious, historical homework. Most importantly, a macaron is not a Parisian macaron unless it has a ruffled, frilly foot underneath that smooth, shiny surface. But even the macaron can be a confusing term today, as there are also many French regional varieties using the same ingredients as the Parisian macaron but the proportions are completely different. Each resemble more the original Italian macaron introduced by Catherine de Medici and many date back to around the French Revolution. Each region adds its own twist and, as a result, they all look so different (check out just some of the variations here). 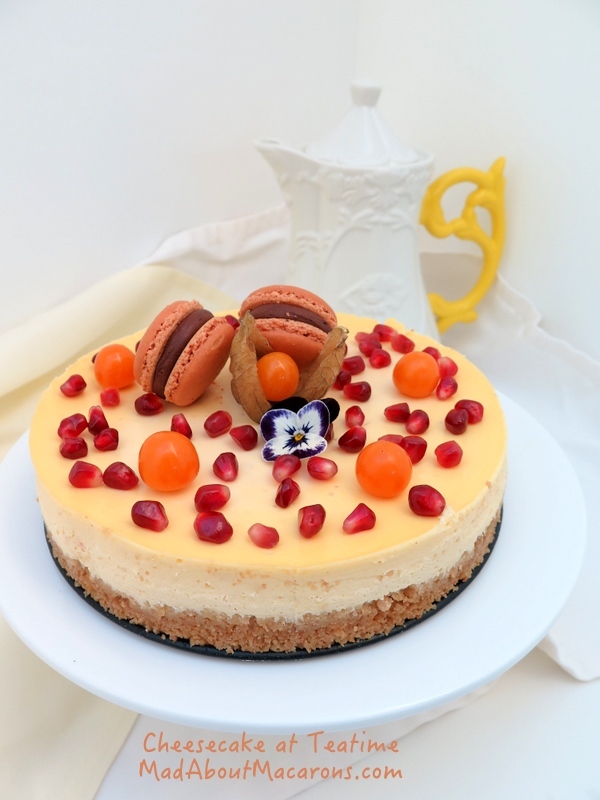 For example, in Picardy, the Amiens macaron speciality adds marzipan, fruits and honey. Other prize-winning French regional macarons continue today in Boulay, Chartres, Cormery, Le Dorat, Joyeuse, Montmorillan (more like an round almond cakes – see above. Here there’s also a Macaron Museum! ), Nancy, Saint-Émilion, Saint-Croix, Saint-Jean-de-Luz (created for Louis XIV’s wedding in 1660) and Sault. Simpler and quicker to prepare, the coconut macaroon is also known as rocher coco or congolais in French. 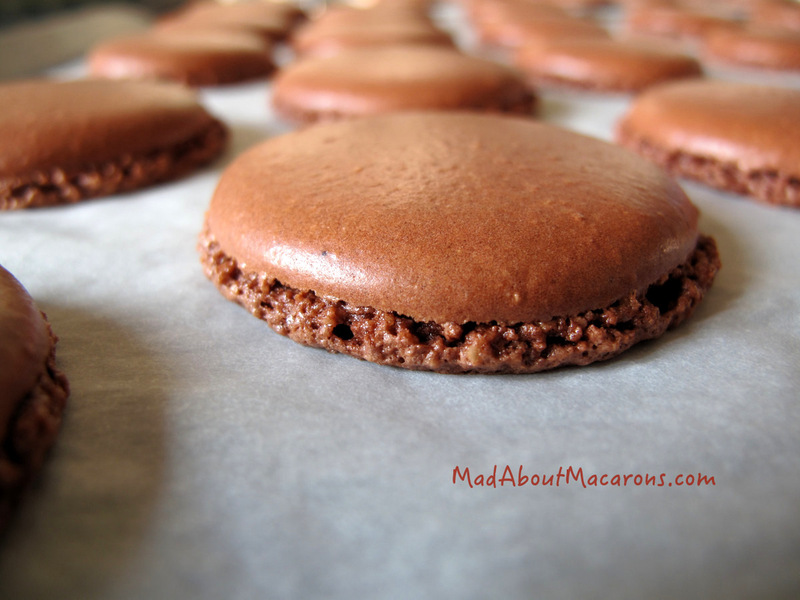 Sometimes the macaroon confection with shredded or flaked coconut – either star or cone-shaped – is dipped in chocolate. It’s not clear when macaroons came on the scene but one thing is for sure: it was added to this gluten-free treat around the 1800s when coconut was brought from the East. Just pronouncing macaroon makes us want to roll the “r” like we do in Scotland – and it’s no coincidence that us Scots are proud of the Scottish Macaroon bar: it’s particularly sweet since the fondant inside is primarily sugar and potato (trust the Scots to think of that one!) and coated with a thin layer of chocolate and coconut. I wonder if Catherine de Medici’s successor, Mary Queen of Scots as French queen brought it in her year-long reign as Queen of France? Last Christmas I adapted the large traditional sugary bar to make these mini Scottish Macaroon bar snowballs. If you want to see the real thing, head over to Christina Conte’s recipe at Christina’s Cucina. To puzzle us further, there’s yet another exception to the rule of almonds and coconut: there are plenty of macaroon recipes outside of France which use pie crust or pastry as a base and the macaroon reference is a mixture of coconut and/or almond toppings. 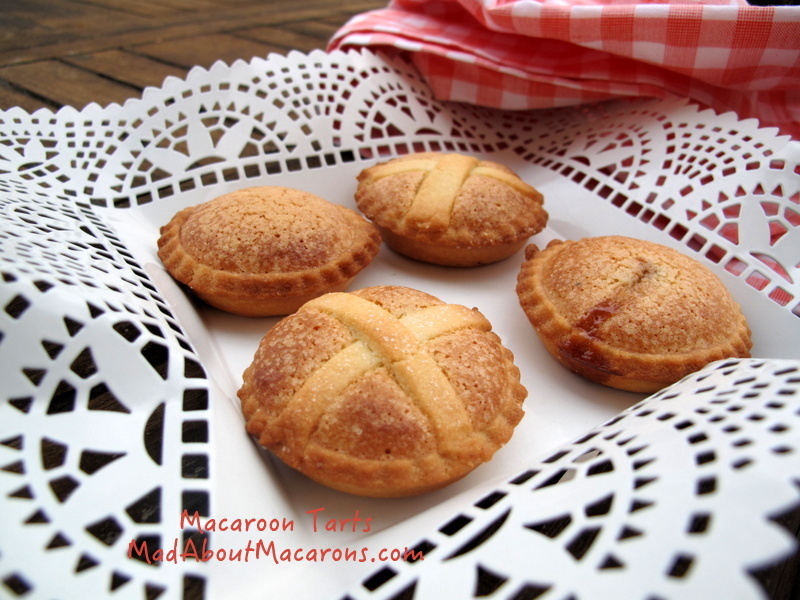 For example, see this recipe for macaroon jam tarts. So before the confusion spreads any further between such differences between macarons and macaroons, let’s nip it in the bud. In all their varying forms, the macaroon refers to the coconut confection; the macaron today, unless a regional version is mentioned, refers to the Parisian or Gerbet macaron – the shiny, dainty version. Just don’t forget its frilly foot, otherwise it’s not a Parisian macaron. Now it’s over to you to spread the word. 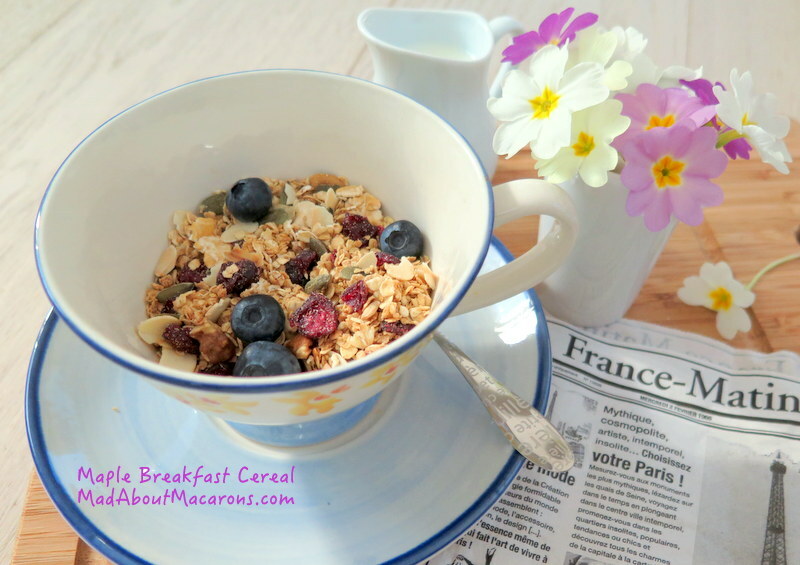 This maple granola has turned me into a cereal blogger (pun totally intended). Why not make this for Mother’s Day? So, how do you often start the day? I’m an easy camper, happy with a slice of multigrain toast; or a tartine of toasted baguette with a scraping of good Normandy butter; or sometimes my favourite homemade brioche and jam. If we have more time together as a family on Sundays, the ultimate treat are the flakiest, buttery croissants from the local boulangerie. Breakfast cereal somehow dropped down the shopping list since I moved to France. Why? 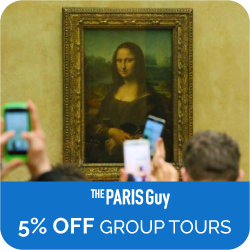 The answer is simply Paris; wouldn’t you also be tempted, surrounded by all those amazing bakeries with croissants, pain au chocolats and pain aux raisins, just for morning starters? 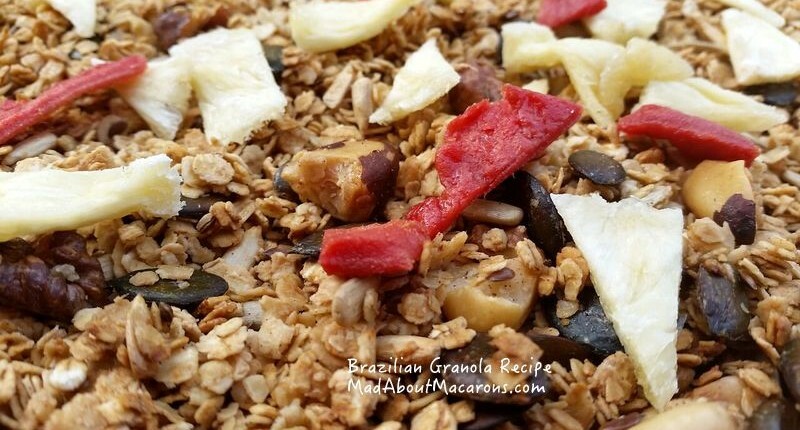 It’s confession time: each time I saw homemade granola on friends’ blogs, such as Kim of LivLife’s lovely cinnamon and coconut cereal, I should have picked up on it like a good serial blogger. My final “Just-do-it” push came via an old thumbed Elle magazine at the orthodontist’s waiting room. One of the only recipes that wasn’t ripped out was for a maple granola, so I tried it. Boy was it overly sweet! Read ridiculously sweet. It took many experiments to come to this to suit our Antoine’s taste – not too many nuts, more oats please, oh I love the graines de courges (pepitas or roasted pumpkin seeds) for that crunch but not too crunchy. The magazine’s recipe has, as a result, changed beyond recognition and its original whopping 140g sugar has now been omitted entirely. You don’t need it; the dried fruits and the maple syrup are naturally sweet. You could use the coconut oil but I honestly prefer it with the neutral oil. So here is our favourite cereal, totally subjective, of course: adapt the quantities and ingredients to your own liking but try this first! Warning: you’ll discover that this has to be made at least once a week. The good news is, by going to our local organic health food store (La Vie Claire), I’m cutting down costs on bigger packs of oats and seeds and they’re better quality too. Ensure that your ingredients are organic. Your body will thank you. 1. Preheat the oven to 170°C (150°C fan)/340°F (Gas 3). 2. Measure* all the ingredients (except the almonds and dried fruits) in a large bowl and stir to mix them all well together. 3. Grease a large rimmed baking tray with more oil or use a baking tray covered with baking paper (or a Silpat). Spread out the oat mixture by shaking the tray gently from side to side. 4. Bake in the oven for about 10-15 minutes, turn over the mixture and sprinkle on the slivered almonds and bake for a further 10 minutes. 5. Leave to cool then add the dried fruits. Store in an airtight container at room temperature. At its best to be enjoyed within 10 days. Serve with milk or yogurt and fresh berries – and delicious with homemade rhubarb compote. I love to sprinkle on a teaspoon of bee pollen, which is not only natural tasting of honey but it’s good for boosting the body’s immune and digestive system a couple of times a year. * I use digital scales. If you’re used to using ounces, then just switch over to grams. I just about forgot that it’s Mother’s Day in the UK this weekend. As I have a French diary where Mother’s Day is highlighted for 25 May, I had it in my mind that the UK was at the end of the month! That’s a great excuse to make macarons again. What favourite flavours do you think would be ideal for Mother’s Day? After our visit to Brazil, I’ve replaced this maple granola dried fruit with pineapple and guava, replaced the walnuts with broken brazil nuts, and added a touch of ground cinnamon and cloves. Try it! I’m thrilled to be a guest over at Ann Mah’s Tuesday Dinner series with this easy red onion chèvre tatin recipe. Ann inspired me to pack my bags and jump on the train to France’s gastronomic capital, Lyon. 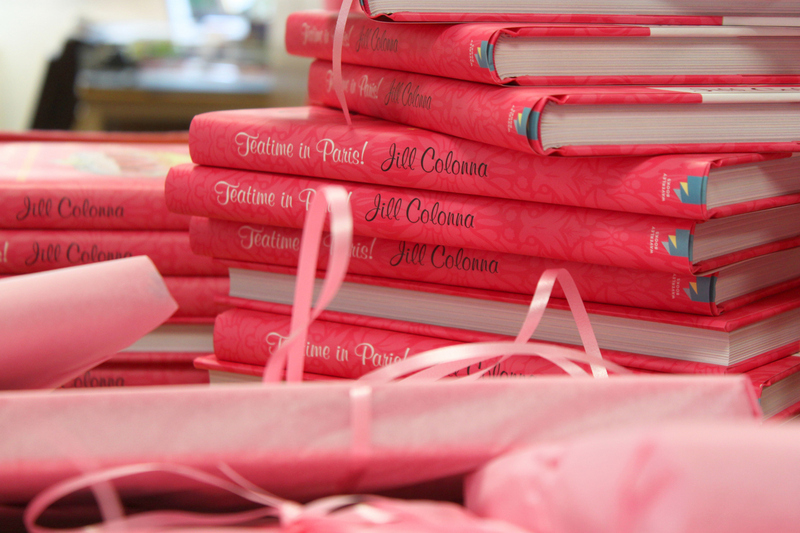 Reading her book, Mastering the Art of French Eating, you may just find yourself doing the same! When I met Ann in Paris we munched on macarons with chocolat chaud but today it’s virtual and savoury. In short, this is one of my favourite savoury dishes that’s handy to make with basic ingredients I like to keep in the fridge and pantry. It’s also so easy that it’s not much of a recipe. By following a classic tarte tatin recipe (see Mango and Orange Tarte Tatin for example), you can make up your own creations using different fruit and vegetables. This is a baked version of a French salade de chèvre chaud (packed with onions en plus) since it can be made easily in advance and popped in the oven while picking up the kids. It’s also great for all seasons and, depending on who’s sitting at the table, it can be dressed either up or down for something simple but oh-là-là effective. 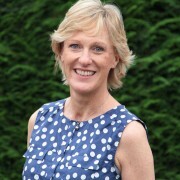 Here’s the recipe but pop over to Ann’s website for the chatty part, which is far more interesting! It’s always a delight to see when someone has made the recipe. 1. Peel and cut the onions into thin slices. Meanwhile, over a medium-low flame, melt the butter with a dash of olive oil in a sauté pan that can be transferred to the oven. Add the onions to the pan and leave to soften and cook for 20 minutes, turning only once or twice to coat the onions in the butter and oil. 2. Preheat the oven to temperature suggested on box of puff pastry. An upside down tart so the cheese is hidden. Woah! 3. Stir the balsamic vinegar, herbes de Provence and salt and pepper into the onions. Slice the crottins of goat cheese in half horizontally and distribute them on top of the packed caramelised onions. Top with the large disk of puff pastry, tucking it in around the sides of the pan. Prick the pastry with the fork then transfer to the oven and bake for 20 minutes, or until golden. 4. Remove from the oven. Place a plate larger than the pan over the top. Turn the tatin upside down quickly on to the plate. Serve with a salad tossed in olive oil, balsamic vinegar and extra toasted walnuts. Make this tarte tatin with white onions, too, and serve with a chilled Sauvignon Blanc. Ideally, serve a wine from the Loire Valley since it’s The French region for goats cheeses. For a change from Sancerre, why not serve a Quincy? That now makes two tatins at the table, ready for dinner tonight chez Ann Mah. Baby it’s cold outside. I’ve been humming this song most of the week, although now we’re singing in the rain outside Paris. While singing, this Chestnut Vanilla ice cream has been churning for a light and easy dessert to finish off a big holiday menu. My youngest daughter is mad about chestnuts in all forms. If I mention this magic word, Lucie’s smile makes me melt quicker than the contents of this bowl. She’s obsessed about roasted chestnuts: either simply tossed along with pumpkin, bacon, or with green beans, or willing to sacrifice precious pocket money for an expensive poke at the exit of a Paris metro station. She nibbles at luxury marrons glacés as if she was Charlie with a golden-ticketed chocolate bar, and pleads for marrons glacés macarons. She also craves the sweetened chestnut spread that is so common in France, by way of Clément Faugier. But I won’t ramble since that’s already covered in my blog post: Chestnuts! From Pancakes to Ice Cream to Macarons. 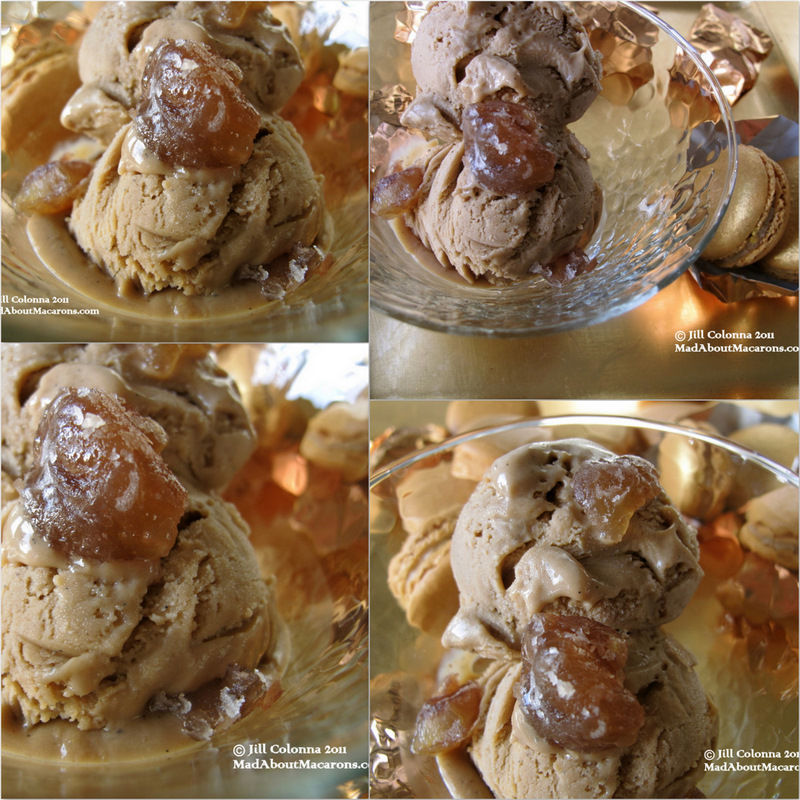 Then I realised that I hadn’t yet posted this recipe for chestnut vanilla ice cream. Mon Dieu! 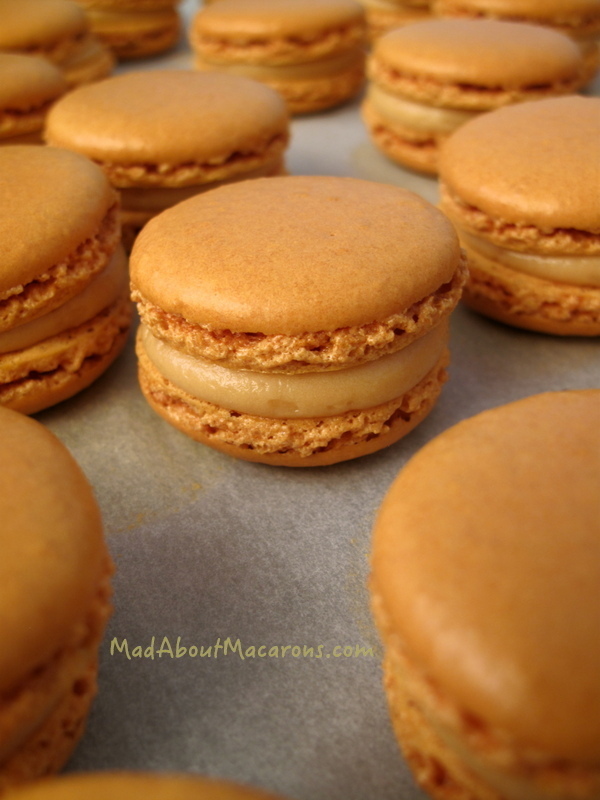 When you’re as mad about macarons as I am (and I know I’m not alone on this one – come on, own up), you need to use up plenty of egg yolks while you’re ageing your whites for making them. Ice cream is one of my favourite egg yolk recipes, as it uses up 8 yolks in this easy, classic recipe. Ideally, it’s best to have an ice cream machine. I don’t have one, but use the ice cream attachment for my Kitchen Aid that still does the job well. If you don’t have a machine, then just take the cream out of the freezer every 30 minutes (about 5 times) and mix up the partially frozen mixture well. 1. Cream together the egg yolks and sugar in a large bowl until light and fluffy. 2. Heat the milk and cream in a heavy-based pan with the vanilla pod, cut in two lengthways. Bring to the boil, and turn off the heat for the vanilla to infuse in the creamy milk for 5-10 minutes. Scrape out the seeds from the pod and add to the cream. 3. 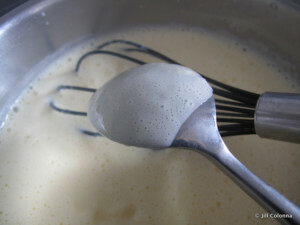 Pour the creamy milk onto the egg mixture whisking continuously. Return the mixture to the pan on a medium heat, whisking constantly until the custard thickens and coats the back of a spoon. Remove the vanilla pod and set the mixture aside to cool. 4. Once cool, place in the fridge for 1-2 hours before pouring into an ice cream maker to churn. Serve with marrons glacés and macarons, but of course. The French love their chestnuts and so what about a sweetened chestnut vanilla ice cream to chill over the festive season? Cream together the egg yolks and sugar in a large bowl until light and fluffy. Heat the milk and cream in a heavy-based pan with the vanilla pod, cut in two lengthways. Bring to the boil, and turn off the heat for the vanilla to infuse in the creamy milk for 5-10 minutes. Scrape out the seeds from the pod and add to the cream. Pour the creamy milk onto the egg mixture whisking continuously. Return the mixture to the pan on a medium heat, whisking constantly until the custard thickens and coats the back of a spoon. Remove the vanilla pod and set the mixture aside to cool. Once cool, place in the fridge for 1-2 hours before pouring into an ice cream maker to churn. Then follow ice cream maker's manufacturer's instructions. 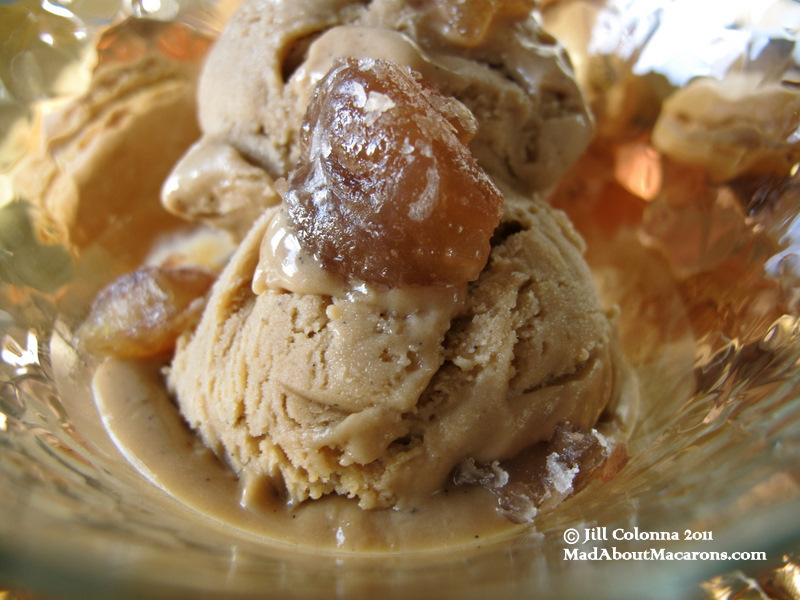 Serve with marrons glacés, crispy gavottes, tuiles (recipe in Teatime in Paris) or macarons. Which leads me to apologise to many friends for appearing as cold as ice cream when it comes to saying hello just now. Truth be told, I’m struggling to keep up with the normal Mum duties, plus a couple of extra projects. Do you find you can do nearly everything on your daily list, except there’s always at least one biggie that constantly nags at you? It’s feeling hard to please everyone. But hey, just trying to stay cool – and eat ice cream. There are also a few upgrades currently underway on the website, since wouldn’t it be useful if you could actually do a search on the blog plus recipes and find stuff? New pages are also coming. Bigger pics. Ouff! Lots to look forward to. Until my next blether, macaronivores.